In 2005, playwright Charlotte Cameron moved from Edmonton to Gabriola Island where she soon became fascinated by Malcolm Lowry and his visit to the island. In 1946, Malcolm Lowry and his wife Margerie took a small ferry, the Atrevida, to Gabriola Island after he had finished writing Under the Volcano. They were fearful of being evicted from their beachfront shack at Dollarton and were looking for an alternative place to live. Margerie's friend, Angela McKee, lived on Gabriola and offered to help them find a place. Sheryl Salloum wrote about Angela Smith, and interviewed Angela's husband, Alfred McKee, on Gabriola, as reported in her book Malcolm Lowry Vancouver Days. The Lowrys stayed at Anderson Lodge, now called Surf Lodge. He later wrote the novel October Ferry to Gabriola, published posthumously in 1970. Cameron identified with the Lowrys' search to find a home where they could live, love and write. She invented a contemporary couple whose lives mirrored the lives of Margerie and Malcolm and juxtaposed the stories of the two couples for her play, October Ferries to Gabriola. Another useful reference source is Phyllis Reeve's article "Malcolm Lowry on Gabriola" in SHALE, No. 18, April, 2008. According to Charlotte Cameron, "Malcolm Lowry and Margerie spent a few days visiting Angela [McKee] and her husband. Alfred McKee had seen them on the ferry and was enchanted by how fun-loving they were, laughing and chasing each other around. Lowry loved Gabriola. He sent the McKees a postcard from Europe saying, "They talk about the Blue Danube, it doesn't compare with the waters of Gabriola. It is so much nicer on Gabriola than here." Having spent parts of sixteen summers on Gabriola Island with his two sons in the 1970s and 1980s, "trying to teach them that there's a world beyond television, telephones, and playground supervisors, and that's it's actually kind of fun to inhabit," B.C. writer Brian Fawcett returned to stay on the island at Surf Lodge in 2006. Writing for dooneyscafe.com, he made no mention of Lowry in his comments but said, "I also liked the island for a less conventional reason: its unfriendliness. Visitors to Gabriola don't have to suffer the artsy insularity of Galiano Island's unfriendliness, or the elevated sense of self-worth found on Saltspring. Gabriola's unfriendliness is a look-you-in-the-eye kind, indifference without hostility." Charlotte Cameron writes plays inspired by historical figures. No Gun for Annie tells the story of Annie Jackson, one of Canada's first policewomen, who joined the Edmonton Police Service in 1912. Running: The Alex Decoteau Story recounts the tale of Alex Decoteau, a Cree runner and Canada's first Aboriginal policeman, who returned from the Stockholm Olympics in 1912 to a hero's welcome parade in Edmonton. He died in 1917 running to deliver messages between the trenches at the Battle of Paschendaele. Both plays premiered at The Edmonton International Fringe Theatre Festival, in 2000 and 2001 respectively. In 2004, Running was rewritten for a family audience thanks to a grant from The Alberta Foundation for the Arts. Renamed Running, the play premiered during Edmonton's 100th Birthday Celebration at the Edmonton Art Gallery, now The Royal Alberta Art Gallery. In 2014, Fictive Press published a revised version of the original play, along with historical information and archival photographs. Everywhere she went on the island she encountered copies of Lowry's book, October Ferry to Gabriola, and once again got bitten by a bug to tell a little-known story, that of the visit of Malcolm and Margerie Lowry to Gabriola in the fall of 1946. "While mixing fact and fiction," writes historian Sheryl Salloum, "Charlotte Cameron concurrently spins the wheel of time backward to 1946 and forward to the present day. In this way, she deftly highlights Malcolm and Margerie Lowry's dream of finding sanctuary and renewal on Gabriola Island while simultaneously illuminating the plight of a similar contemporary couple. Themes such as alcoholism, angst, eviction and homelessness, guilt, hope, and love reverberate throughout this provocative drama." Charlotte Cameron's novel, The Amaranthe, about the persecution of the Cathars in France in the 13th century, was shortlisted for the Sixth Alberta Writing for Youth Competition in 1994. During her career as a public-school teacher in Edmonton (1974-2004), she had several articles about teaching published in The Bell, Book and Candor News. In 2013, Canada's History (June/July issue) published "The running warrior,"; Cameron's most recent article about Alex Decoteau. 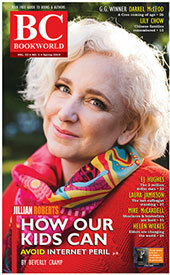 Cameron's book review of Little Comrades by Laurie Lewis appeared in BC BookWorld (2012). Other articles by Cameron have been published in The Edmonton Journal (1994), Western Living Magazine (2004) and Legacy Magazine (2004, 2005, 2006). Cameron was invited to read an excerpt from her short story, The Big Bad Wolf, published in Other Voices (1993), at a gala launch in the Scott Gallery in Edmonton. Another short story, Real Cowboys, was published in Cumulus(1993). In November of 2013, Cameron was part of a team of three playwrights and three local mystery writers who created a serial mystery entitled It Happened on Gertie to celebrate the acquisition of Gabriola's first fleet of buses for public transportation on the island. Cameron is a member of The Federation of BC Writers, Writers Guild of Alberta, AB Playwrights Network, Theatre Alberta, Canadian Society of Children's Authors, Illustrators and Performers (CANSCAIP) and the Playwrights Guild of Canada. She is also a director on the board of the Poetry Gabriola Society. Retired Edmonton schoolteacher Charlotte Cameron is launching her book, Running: The Alex Decoteau Story, at the Gabriola Branch, Vancouver Island Regional Library, on November 8 at 1 p.m. Published by Fictive Press, the book contains her one-act play, Running: the Alex Decoteau Story, first produced at the 2001 Edmonton International Fringe Theatre Festival to positive reviews. The book also includes an historical note about Alex Decoteau, archival photographs, and a fascinating introduction to the play and to the Alex Decoteau Run. The run, held in Edmonton, Alberta, from 2001 to 2010, brought this aboriginal role model to the attention of hundreds of schoolchildren. Running: the Alex Decoteau Story, a one-act play for six actors, tells the sad but uplifting tale of a true Cree hero. In 1911, in Edmonton, Decoteau became Canada's first aboriginal police officer, famous for chasing down and ticketing speeding vehicles on foot. A champion runner and popular figure, Decoteau raced for Canada at the 1912 Olympics in Stockholm. He fought for Canada in World War I and was killed, in 1917, while running a message at the Battle of Passchendaele. He was only 29 years old. "The title of this play has a double meaning. Alex Decoteau was not only a champion foot racer, he served in the army as a regimental runner. In an era before radio existed for infantry battalion communications, and with telephone lines being susceptible to being cut or tapped into, messages between the levels of command were carried by hand-the duty of a soldier called a 'runner.' This was hazardous duty in the extreme, and performing it is how Alex Decoteau died. Fictive Press was launched in 2011 by Morri Mostow as a division of BizNet Communications, a corporate and marketing communications firm that she and her husband, Doug Long, have been running since the early 1980s, first in Quebec and, since 2005, on Gabriola Island. Running: The Alex Decoteau Story is Fictive Press's seventh title. Fictive Press's first title (published in 2012), The Fool Who Invented Kissing, by Doug Long is a collection of compelling micro-stories, whimsically illustrated by Gabriola artist David Botten, each with setting, characters, plot, conflict, climax and resolution told in exactly 55 words. 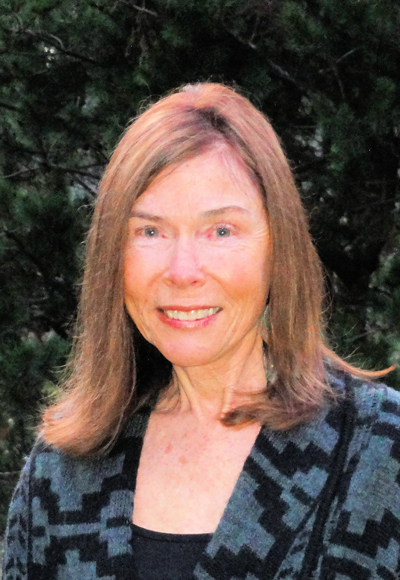 Fictive Press has since published two poetry collections and a philosophical-religious work in translation by Per K. Brask; as well as a meditation on death, and an historical novel by award-winning children's author Carol Matas.